Seeking private digital camera lessons in Edmonton? 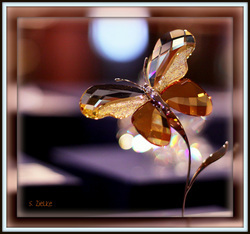 Learn to take splendid images with your digital camera! Tired of fighting with your digital camera? 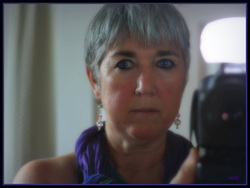 Sheree Zielke has been using and teaching digital cameras for many years. Here is your chance to learn about the exposure value triangle, become acquainted with a photographer's best friend--exposure compensation--get concrete explanations of the logic behind the reasons why your camera does what it does, aperture and depth of field, shutter speeds, ISO, metering, and focusing modes. After your first two hours with Sheree, on your camera, you will feel better equipped to take awesome images. Create this image with a 100mm f 2.8 lens, DSLR camera, hot shoe flash, some red lights, a tiny Santa fairy, and a bounce card. Digital camera frustrating you? Do something about it. Take a private class with instructor, Sheree Zielke. comfortable with your digital camera! How to book your private camera lessons in Edmonton? Email or call Sheree at (780) 499-5024 to book your lesson. Most students don’t need more than two hours of tutoring; this allows ample time to introduce terminology, introduce them to their camera's menus, and familiarize students with their camera's controls and logic. Sheree teaches in public locations only on Edmonton's west side. She usually meets students in West Edmonton Mall, especially out-of-town students, who combine a lesson with a day of shopping. or a foyer make perfect teaching locations, too. Please ask if you have a specific reason for needing to be taught in your home (females only). Sheree will travel to accommodate a student -- she charges a minimum of $50 per hour and up to travel. Lessons are booked by the hour. Please come equipped with both your camera, your manual, and charged batteries. All students are required to take 2 hours during their initial appointment. No exceptions. Fees: $150 for the first 2-hour tutorial (2 hours are mandatory). Couples $200/ (2 hours mandatory). After the initial meeting, students may book additional time as they desire. Travel fees and accommodations are additional. Client must provide an adequate stage, and microphone with amplification (if necessary), as per the size of the group. (Please request a private quote for groups larger than 12 students. Sheree teaches on ALL cameras: DSLR (removable lenses), P&S (point and shoot), and Smartphones, too. All fees are payable in advance. Cash only. No cheques! No GST. Please ask for a receipt should you need one for income tax purposes. This image was selected #1 of 1 million images on Flickr.